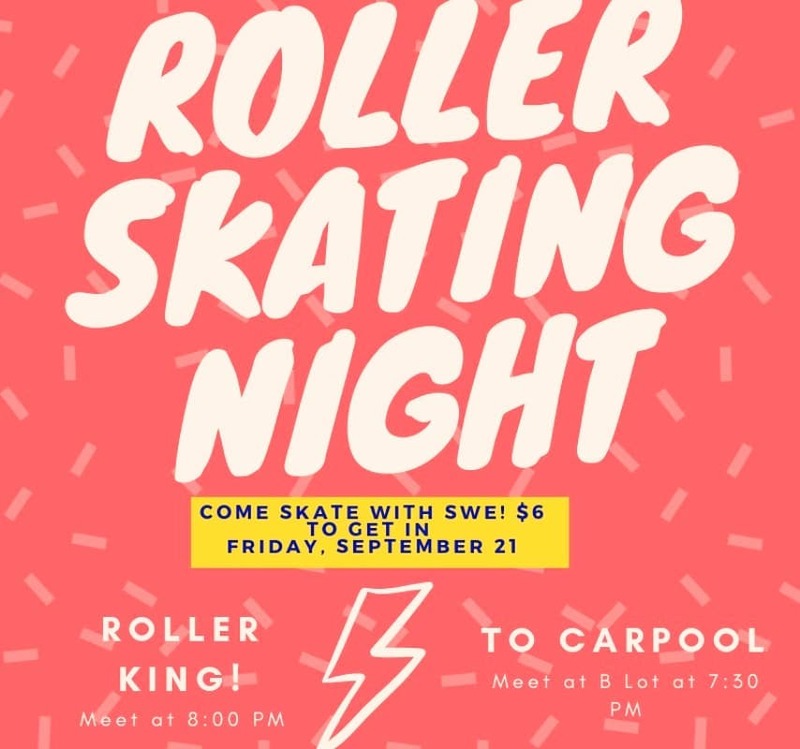 After you get your resume critiqued and did a few mock interviews, come join the UNM SWE Chapter at Roller Skating Night! It is $6 to get in, and we will be meeting there at 8PM! Need a ride? Meet us at B Lot at 7:30! 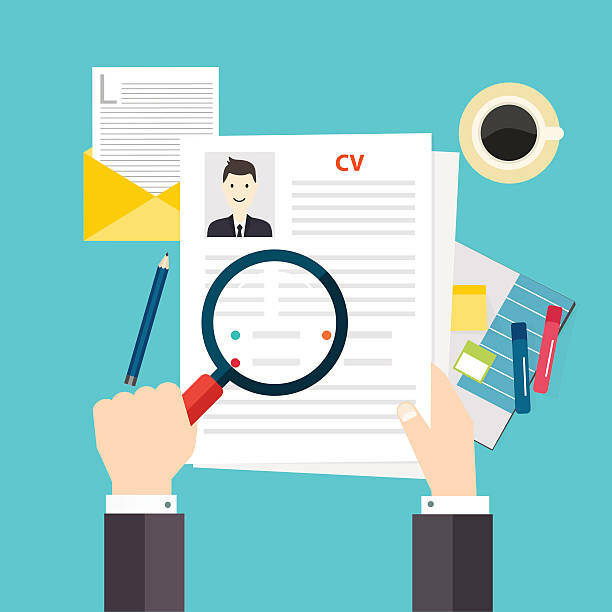 Join us and bring your resume for resume critiques and mock interviews! We have invited professionals from all engineering disciplines to help us prepare for conference. If you are not attending conference, do not fret! This is still a great opportunity to develop your resume and interviewing skills! Join us for our first outreach event of the year and hang out with the amazing Girl Scouts of New Mexico Trails! 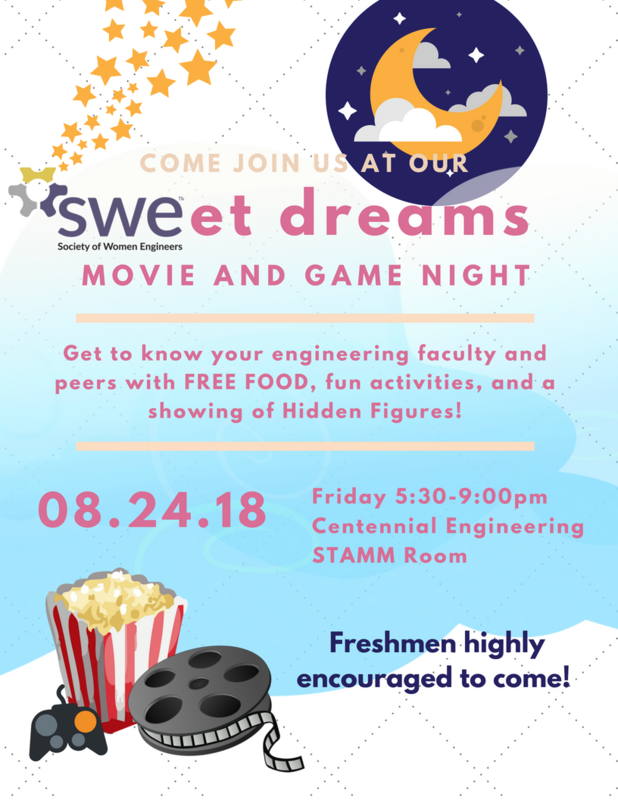 Get to know your faculty and fellow engineers with free food, activities, and a showing of Hidden Figures! It will be an entertaining night and a great opportunity to meet other members! 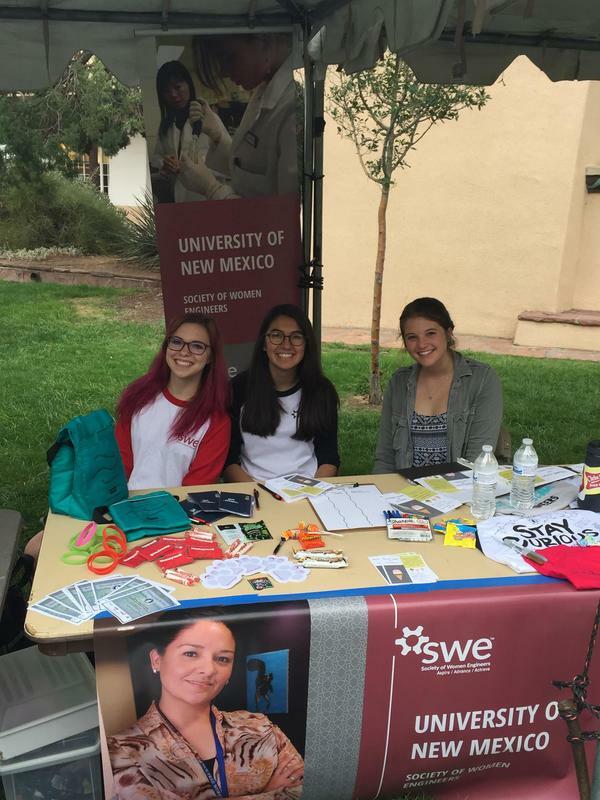 Invite new members to SWE at UNM Student Organization's Welcome Back Days! Come help out at our table inbetween classes, and meet other students from different student organizations on campus! 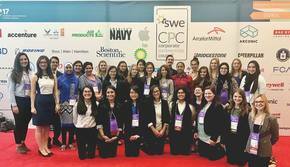 Find the table with the Society of Women Engineer's Banner! 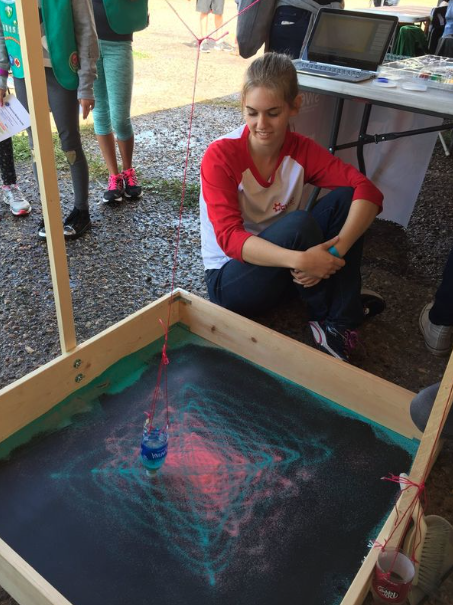 Help us to ring in the new school year by volunteering to help table at Friday night live! 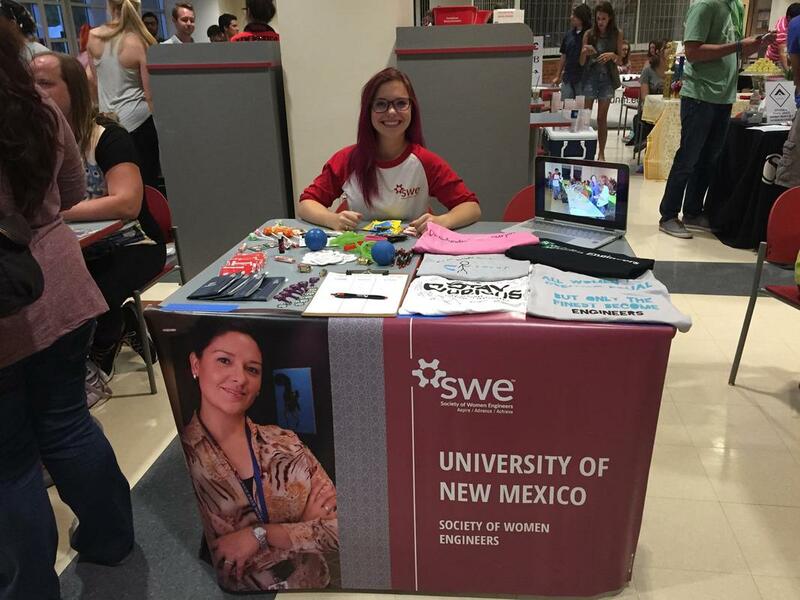 Help advertise SWE to new students, and enjoy a fun night with other SWE members! ​Send an email to an officer if you need a ride to the SUB! Check out our events calendar here!